Update: 4th July 2017 In case you lost your iPhone or someone stole it then you might want to look at all the possibilities of finding it. 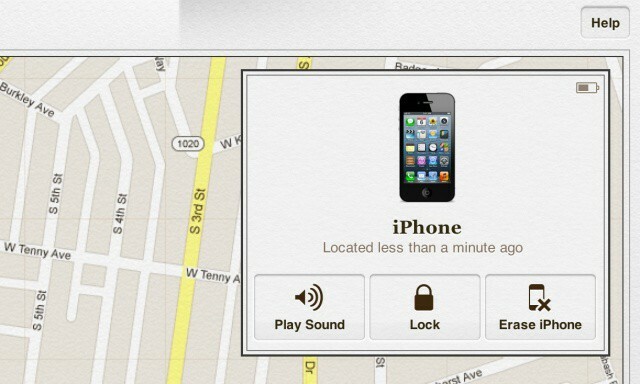 The best way to locate your iPhone is the “Find my iPhone” feature provided by Apple. “Find my iPhone” is a cloud based feature given by Apple to track and locate all your apple devices. You can find iPad, iPod or even your Macbook with this feature. There are number of circumstances that arises when your iPhone gets lost or stolen. One of them is to how to find my iPhone without an App. Well, Apple has made sure that you always find your iPhone/iPod/Macbook without using an App. There are number of other features which are also associated with it such as activation lock, ringing of phone etc..
Apple offers multiple methods to find iPhone on your laptop and phone. Apple offers iCloud website through which you can find your iPhone, iPad, Macbook or any other iOS device. iCloud website also contains others things such as your reminders, Calendars, your notes, numbers and all the pages. You can get them all on your laptop or any other laptop once you signin with your iCloud ID. In order to get them you must enable synchronisation of your iPhone with the iCloud account. You can enable the same in your iPhone settings. So, if you activated this feature then you are good to go. If not then there is no chance that you will find your device. Activating the feature while setting up your device ensures that “Find my iPhone” features of apple keeps track record of your iPhone. You can different locations across dates using this feature. Go to www.icloud.com website and Log in using your Apple ID. Now you can see your icloud dashboard which shows various apps. Click on “Find my iPhone” icon in the iCloud dashboard. Once clicked, you will see the interface along with a map. Select your lost or stolen device from drop down menu. Once you select your device, it will start tracking the location of your iPhone. It will take sometime to find the location. Once successfully found, it will show the location of your iPhone. You will see other options such as “Trigger sound, Lost mode, Erase all data, Send contact number”. You can use these options depending upon your situations. If it’s really lost or stolen then you can use erase all data on your phone as the last resort. After that, Find my iPhone iCloud feature won’t work for lost iPhone. As the map technology is emerging, you can say that the location provided by the map is quite accurate. If you have iOS 7 or above, you can start turn by turn navigation to reach your iPhone or stolen device. This is super cool feature. Sometimes, it shows messages like “No Location Available” or “Unable to locate”. There are multiple reasons behind it. You net may not be working as expected. Your device is switched off for a long period of time. Net connectivity is not there in your device. In such cases, you can still see the last location of your iPhone or apple device and you can get an idea as where your phone will be. Hopefully it’s going to help you out. If have any query do comment, we will be happy to help you out at any time. This entry was posted in Locate iPhone Without App, Track My iPhone and tagged Find My iPhone Says No Location Available, Find My iPhone Without an App, How Accurate is Find My iPhone, How to Find My Stolen iPhone, Locate My iPhone Without an App, Locate My Stolen iPhone Without an App, Track my iPhone without iCloud, Track My Stolen iPhone Without an App on September 7, 2014 by satyenhacks.